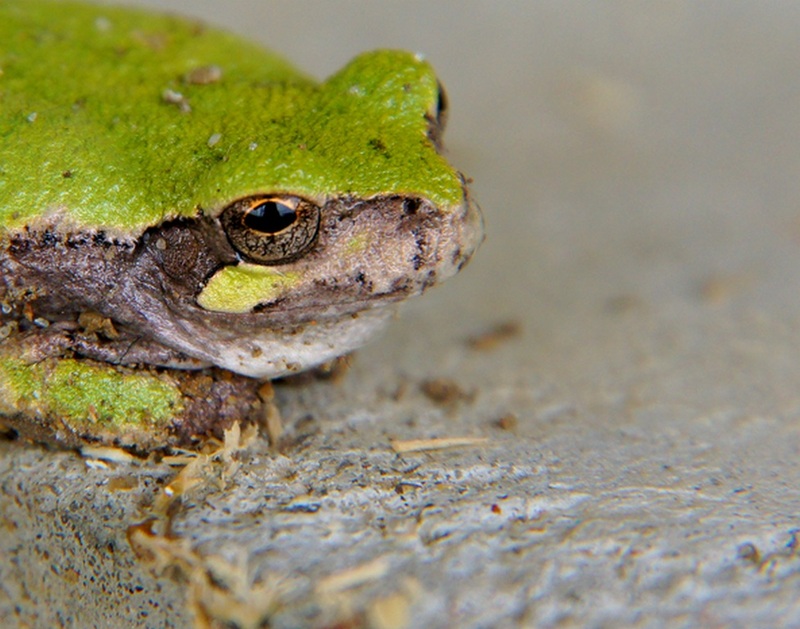 This year has certainly been a year full of tree frogs at our house. We had six tree frogs in our house... five in the kitchen and one in the bedroom. Yeah... tree frogs. Weird, huh? We've also, of course, found them outside (probably planning and waiting for their chance to get in my kitchen hehe). 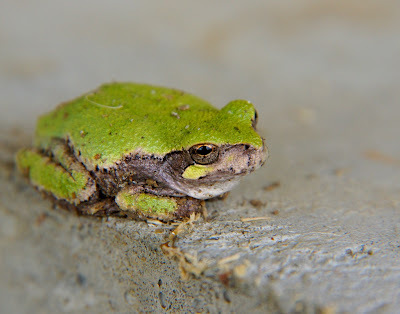 I found this tree frog last weekend. 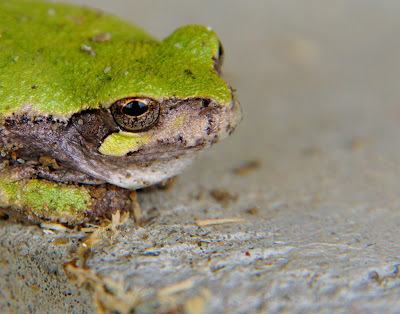 This is not a tree frog, but you probably already figured that out. 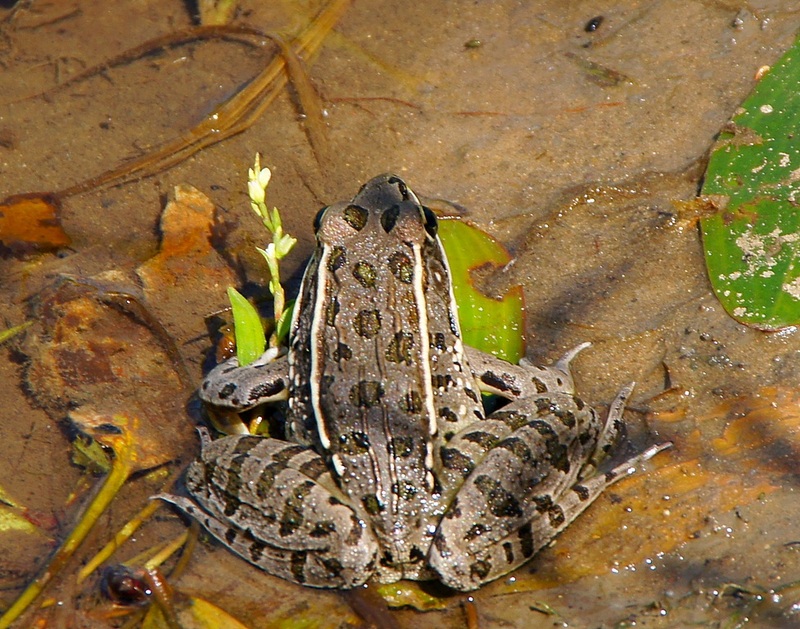 This is a Leopard Frog. I call him "Fabrizio Frog"
After you're done reading the Saturday paper and looking for Coding Educator Jobs or curtains, click on the badge to join in the Camera-Critters fun! cool shots! have you had problems w/ them coming in your house in previous years? if not, that really IS strange! You have a great way of capturing animals. :) I like the bright green! So many friendly frogs? These shots are delightful - love that vibrant green. That green tree frog looks nuclear. Thank heaven for the leopard frog. S/he's a dandy. Great shots! Hope they come to my garden. So far I only see toads. Tree Frogs, Leopard Frogs, Bull Frogs...ain't ya got any toads? I love your shot of these great little guys. I used to have a fire bellied frog as a pet, I just love frogs. Nice shots! I don't think I would like them coming inside the house, but they look pretty cool outside. What a variety you have there! Great shots. Frogs! My favorites. You really got some good shots. Look like a pair of rascals for sure! Gool critters and a lot more colorful that frogs and toads around here.